Great news for Hong Kong fans. It was revealed recently that the Cantonese dub of Japan's Kaizoku Sentai Gokaiger has aired in TVB Pearl from 9:30 - 10:00 am every Sunday since March. In line with this, Hong Kong's Toys R Us began streaming the toys and action figures tied for Hong Kong and other Chinese markets. 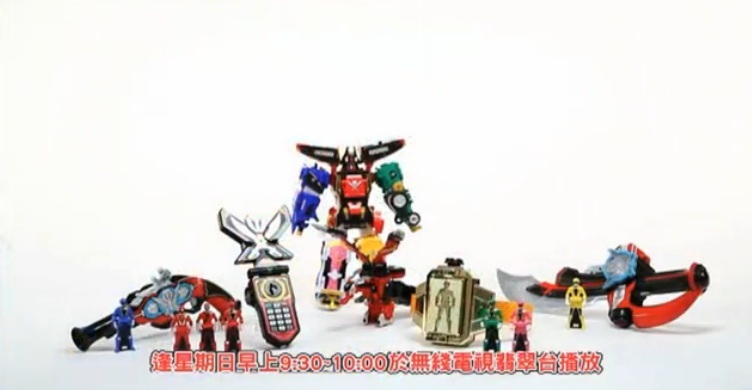 From the video below, it seems that there will be no changes on the sounds and effects from the previously released Japanese DX and related Gokaiger accessories.